In church this Sunday when the bible reader said "God is good" and I responded really loud with "all the time" but NO ONE ELSE did and then there was an awkward pause and then he just moved on. Am I the only one who has been trained with "God is good...all the time...All the time...God is good." It's called congregation participation folks. Making a your mom joke to someone whose mom recently passed away. dangitdangitdangit. Teacher: How are you doing today Rebecca? Teacher: 50 dollars! what kind of perfume costs 50 dollars?? hahaha. At least he didn't ask the name. "Desire by Victoria Secret." That would have been even more awkward. Boyfriend got a job today! Yayyyyyy! My SUPER COOL giveaway happening this weekend. Check back. Do it. Do it. This is my niece Miley. 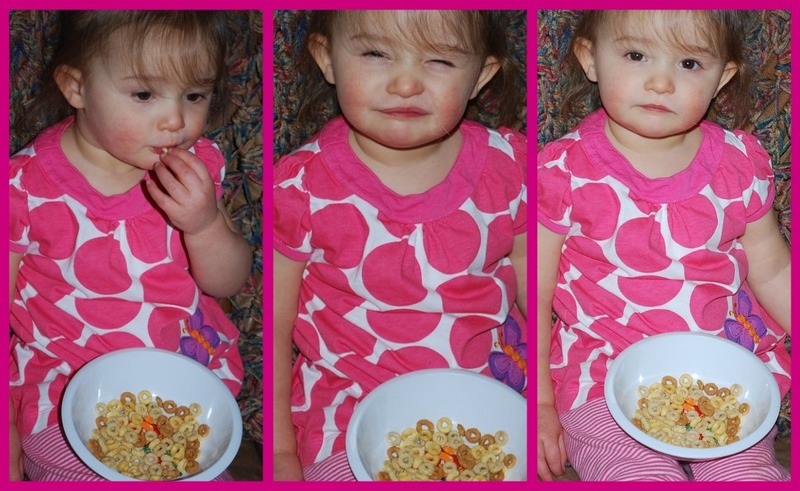 In the middle picture I told her to smile and say cheese. This is what she did instead lol. When I used to work I giddily asked a customer how her husband was doing. She had been shopping in our store FOREVER and I hadn't seen her in quite some time. She responded by informing me that her husband had passed away (hence her absence), then she broke into tears at the reminder. I had never felt more horrible in my life. When I was practicing medicine a woman and an older man came in with a baby. I said something about how nice it was the grandpa was coming along and he said "Um, I'm the dad." You should have seen me stammer to get out of that one! Found you on the Hello Friend Blog Hop and am now following you. I'd love it if you would follow me at Dropped Stitches. Hi there--I'm just hopping around to the other blogs taking part in Spring Fling. I was sitting here laughing about your "all the time" moment. One in church my sister said the response. Everyone else did too, but she flipping bellowed it so you heard just her over the whole congregation. I almost wet myself laughing. I love that you do these posts - they always make me laugh!